Sofia Gisberg was a pioneer in pattern creation and design. Sofia Gisberg was born in 1854 in Sundsvall and her talent for drawing already became apparent when she was at school. From 1870 to 1877 she gained further training at Litografiska Anstalten in Sundsvall. She then travelled to Stockholm in order to work at Centraltryckeriet as a print lithographer. At the same time she enrolled in various courses in freehand and perspective drawing at Slöjdföreningens skola (today the University of Arts, Crafts and Design). In 1879 Sofia Gisberg’s teacher encouraged her to enrol in the newly established department for female drawing instructors at Tekniska skolan. The department was run by Amelie Brandt, one of the school’s first female graduates who subsequently became the first director of the department for female students. At the same time, Sofia Gisberg was also a private student of the eminent portrait painter Kerstin Cardon. Sofia Gisberg then went on to attend Högre konstindustriella skolan (also a department of Tekniska skolan) for three years. The first batch of female drawing instructors graduated in 1883 but it proved difficult for them to find suitable employment. Thus Sofia Gisberg returned to the school for a further three years. In 1886 she became the first female student to graduate as a pattern creator. During her studies Sofia Gisberg had worked as a pattern creator in her own company. Several of her fellow students also went on to run their own companies. They worked with new materials, developed new techniques, painted, wrote articles, held exhibitions, and designed cloth patterns. Sofia Gisberg advertised in the press and gained commissions. Thus, in 1883, she was commissioned to design a shield in honour of the memory of King Gustav II Adolf, which was to be donated to the Nationalmuseum. In 1884 Sofia Gisberg began to collaborate with the bookbinder F. Beck & Son. She designed magnificent book covers using synthetic leather and leather mosaic techniques. She competed for the prizes which were announced by Svenska Slöjdföreningen (Swedish Society of Industrial Design). For her own company she accepted commissions to design furniture, silverware, and textile goods. She also produced so-called sgraffito ornamentations, that is facade patterns consisting of two layers of stucco. In 1886 Sofia Gisberg received a state stipend in order to advance her skills as a pattern creator. She then undertook study trips to Germany and Austria, amongst other places. Professor Ernst Jacobson asked Sofia Gisberg to design a fountain for her hometown of Sundsvall, which was to be a gift from an estate. First she produced a sketch, then a clay model, and finally a full-scale model with the help of an ornamental sculptor. The impressive fountain sculpture was cast at Bolinders Mekaniska Verkstad. Vängåvans fontän was unveiled in 1886 and comprises a basin with three bears carrying the state arms, those of the region and those of the town. On the next level there is a man who represents industry, a woman who bears the attributes of knowledge and science, and a second woman who represents trade and sea faring. The top of the fountain is adorned by a female figure symbolising art. In 1887 Sofia Gisberg became an instructor of lettering and calligraphy at Tekniska skolan. She also taught commercial drawing at both foundational level and at the Högre konstindustriella skola. In 1904 she succeeded Amélie Brandt as the director of the female pupils at Tekniska skolan and remained in post until 1925. She is considered to be “one of the school’s most prominent teaching forces, who made a significant contribution to the applied arts”. Sofia Gisberg was technically skilled and helped the students gain practical work experience. She modernised the teaching. She bought specialised looms and hired skilled weavers as instructors. Several generations of textile artists became successful thanks to Sofia Gisberg’s thorough teaching. From 1888 to 1891 the journal for pattern creators, Svensk Konstslöjd, frequently contained adverts for Sofia Gisberg’s studio for pattern creation on its first page. She subsequently joined the association Handarbetets Vänner (Friends of Handicraft) which had been established in 1874 by Sophie Adlersparre. 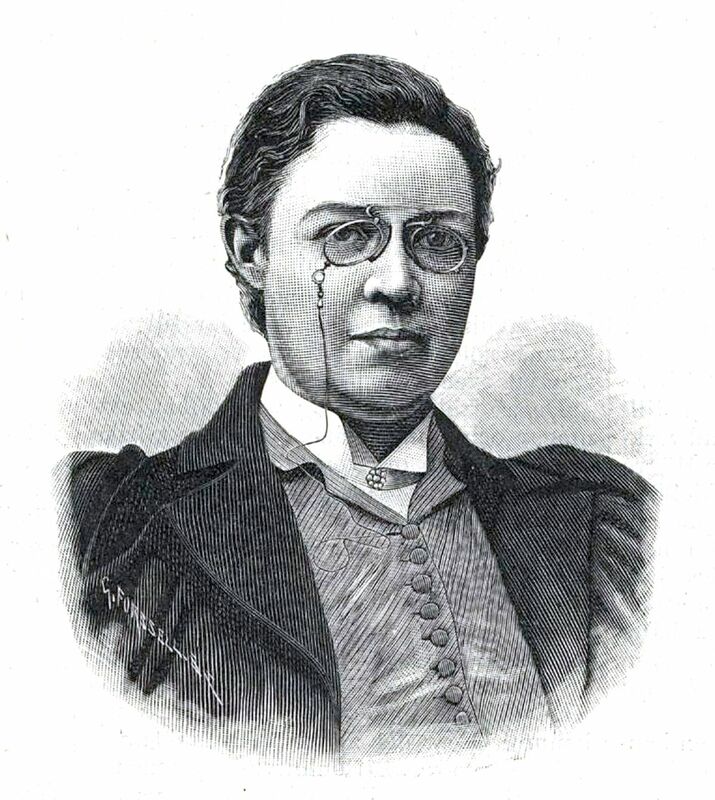 Sofia Gisberg became a member of the board in 1883, first as a substitute and then from 1893 onwards as an ordinary member. She served as a competition judge at the Almänna konst- och industriutställning held in Stockholm in 1897 and at the Gävle exhibition in 1901. For Handarbetets Vänner she created a variety of banners and seat coverings. In 1891 Sofia Gisberg was awarded the Sophie Adlersparre prize in recognition of her work, which had “particularly promoted Swedish textile art”. Sofia Gisberg became the first textile designer to be hired by AB Licium. She also created the company’s elegant emblem. She further designed several antependia for various churches. The best-known are those made in 1906 for the Gustav Adolf church in Borås, those for Gustavsberg church made in 1907, those made in 1908 for Hörnefors church along with accompanying vestments, and those for Ösmos church which were designed in the Art Nouveau style in 1911. Sofia Gisberg was an extremely talented calligrapher. She produced family trees, title pages and artistically designed addresses. One of her commissioners was the Crown Princess Victoria, but she also worked for other well-known people. From the time that the Nobel Prize began to be awarded in 1901 until Sofia Gisberg’s death in 1926 she created the certificates for the prize recipients in chemistry and physics. In 1901 she was awarded the royal medal Litteris et Artibus during a ceremony at Högre konstindustriella skolan where she had begun her training. Sofia Gisberg died in her home in Vaxholm on 3 January 1926. Sofia Gisberg, www.skbl.se/sv/artikel/SofiaGisberg, Svenskt kvinnobiografiskt lexikon (article by Anita Du Rietz), retrieved 2019-04-24.